Recent tragic events at Canary Wharf have underlined the importance of ensuring your affairs are up to date, as we never know what our future holds. We talk to all of our clients about the importance making a Will, and that is the case even if you think your circumstances are straightforward. There are often issues that may require further discussion such as co-owning property, second marriages and step-children, and steps that can be taken to ensure your interests are protected, such as inheritance tax planning and the use of trusts in your Will. We recommend that every adult has a Will, and that it is kept up to date through regular reviews. We can do this for our Will clients through our unique Legal Review Programme, ensuring that the investment you have made in protecting your future and that of your family’s remains relevant. 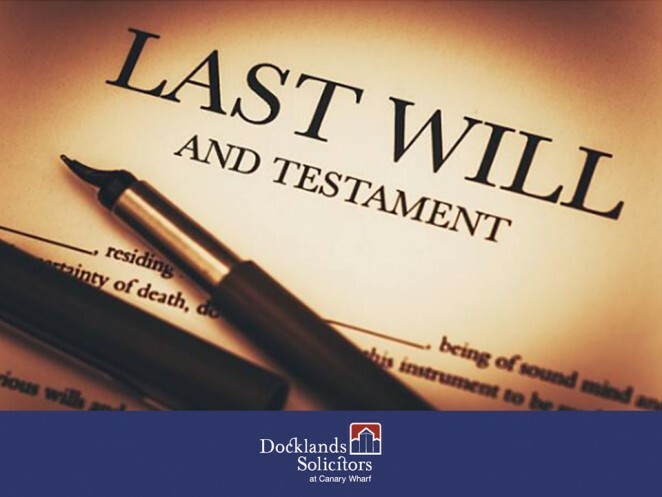 If you die without leaving a Will then it is a statutory order of rules, called the Intestacy Rules, which govern who will inherit your estate. This isn’t always what you would have wanted, and it can be prescriptive and not suitable for your circumstances. If you have a long term partner then they are not included in the Intestacy Rules and their future may be affected by not being able to simply inherit from you, as you may have wanted; and there could be significant inheritance tax to pay. Without a Will you cannot specify executors to deal with your affairs when you die, appoint guardians for your minor children, benefit non-family members or charities, or structure your affairs in a way that suits you and your family; it also makes it harder for your relatives to deal with practical steps after your death. For peace of mind for you and to protect your family then we always recommend a professionally drawn up Will. We offer a no obligation initial meeting to discuss your instructions and wishes, and you can then decide if you wish to proceed. If you already have a Will, then consider if it needs reviewing. How long ago did you make it? If more than 3 years old then does it still reflect your wishes and personal circumstances? Not many things are certain in life, but Docklands Solicitors can help you deal with an uncertain world and offer practical solutions to some of the difficulties that can occur when the unthinkable happens. We are based in a convenient location minutes from Canary Wharf tube station and are close at hand to help you and your family. You can get in contact with Katie Broadfield here.